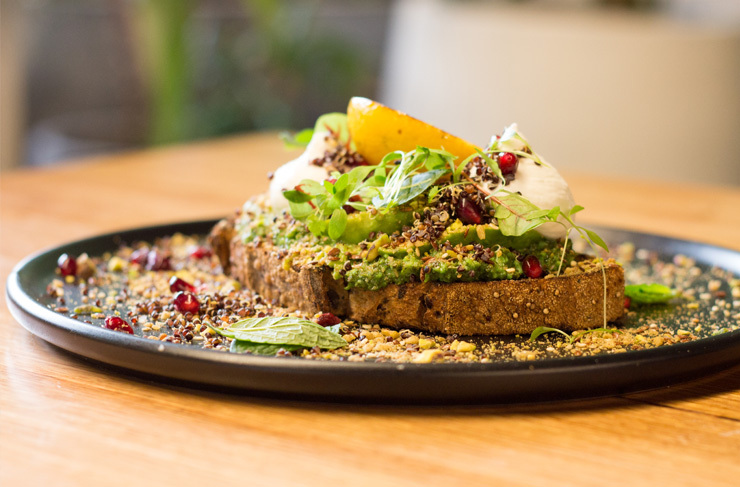 Here are the best places to eat in Boronia. 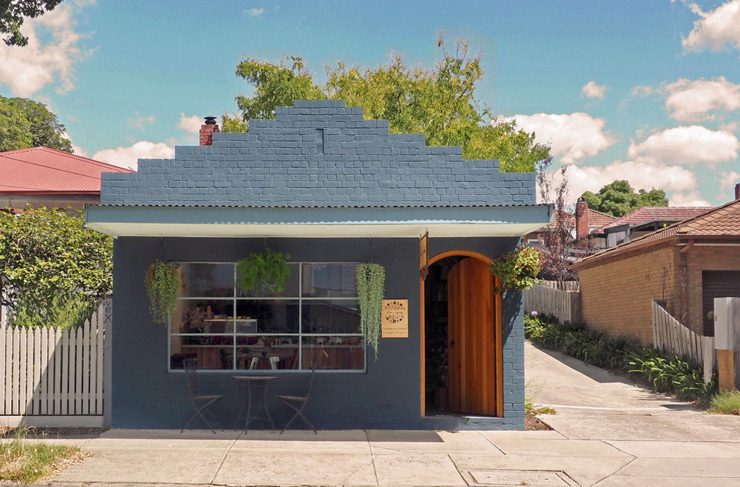 Look for the teal and black building across from Boronia Station—congrats, you just found Two Cats Espresso Bar! They use local beans, cooked at their own roaster in Ferntree Gully, which gives them a LOT of control over your cuppa. They're probably the best specialty coffee store within a 10km radius. If coffee’s not your thing (what's wrong with you?) you can also get tea, chai lattes or matcha lattes. There's not a heap of food, so if you're after a big feed you'll have to head elsewhere. But you will find some delightfully homemade treats—chocolate crackle fudge cupcakes anyone? Yeah, we're keen. Forage ain't fancy, but it has heart. It's a cute cafe with an all-day brunch menu, fake grass on the walls, mismatched seats and friendly service. In terms of brekky, the Nutella Nutella waffles with berry compote and vanilla ice-cream are always a good call, but the breakfast bagels aren't bad either, stacked high with smoked salmon, cream cheese and golden folded scramble. The coffee is a Wide Open Road 'Shady Lane' blend, and you can also pick up cold-pressed juices, smoothies and old-school milkshakes. How cute is this!? Unassuming on the front, but there's a LOT going on inside. The team at Elsa & Gray are slinging coffees by the bucket load. They also double as a boutique florist and event space for hire. Flowers and coffee, two of the best things in life. Food-wise, you can pick up a selection of gourmet muffins and other nibbles. The brekky dishes change regularly, but at the moment they're doing wicked chimichurri and chorizo quesadillias and a toasted panini with roasted veg and bocconcini. Elsa & Gray are big on using organic, free-range produce that's locally sourced, so you know you’re in safe hands. Hit them up on Rangeview Rd. Everyone knows that Melbourne burgers don't get REALLY good till you pass Burwood. The outer 'burbs might lack for Edison bulbs and brunch wankery, but damn they can knock together a good burger. Case in point: Mum's Burger Kitchen. This place has been around for a while, pumping out massive stacks and some excellent sides. The burgers are cooked soft medium, and the cheese-melt is everything you hope for—oozy, slightly sticky, just the right plastic mouthfeel. We recommend the Pamela: double patty, double cheese, lettuce, tomato, onion, and garlic aioli. Banging. If your Nan cashed in her pension cheques to open a cafe in Boronia, it might look something like The Drop In. It's a charming (slightly twee) cafe on Dorset Rd: all teapots and delicate china and ornamental teaspoons and slices and coconut-dusted teacake. But in the best possible way. Honestly, more cafes should embrace old-school quirkiness like these guys. They also knock up a range of brekky tacos, sweet and savoury crepes and beef brisket sandwiches over lunchtime. The home-baked cakes and treats are definitely the highlight though. Lock in a tea date with Nan ASAP. Okay look, this place is a stone’s throw away from Boronia—but it’s so good we had to include it anyways. Hey Mikey is the brainchild of Cory Mitchell, who has a hankering for Aussie coffee and handmade jaffles (the best combo, IMHO). Try out the ‘Benedict Cumberbatch’ jaffle made with a poached egg, ham + hollandaise, or the Bean Burrito which (you guessed it) has beans, salsa, cheese and guac. That is what dreams are made of. Plus, they’re open from 7am Monday – Friday—perfect for your pre-work caffeine fix. We know, technically it's Bayswater. But we're willing to drive the 5mins for a Hatter & Hare brunch. And so is the rest of Melbourne's eastern suburbs. Seriously, this place gets RAMMED on weekends. It's Melbourne's favourite Alice In Wonderland eatery. Not only do they serve brunch and lunch options, they’re known for their ‘Alice in Wonderland’ style High Tea featuring colourful éclairs, French toast and decadent chocolate thickshakes. This place is so popular, they’ve even had to open up more parking and hire more staff – you have to check out Boronia’s little slice of Wonderland. Elizabeth is often found eating ramen, chilli scrambled eggs and doughnuts (not at the same time though, gross), patting other people’s dogs and telling everyone that she wants to go to Japan, for the 34th time that week.